If you’re tired of having bruises marring your skin, how can you get rid of them quickly? This article explains the ways to get rid of bruises fast, whether they are on your arms, legs or elsewhere. Can You Get Rid of your Bruise in 1 Day? 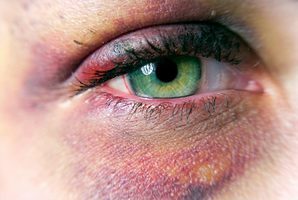 Skin affected by trauma sometimes develops the bluish color of bruises. They result when blood collects between your skin and body tissue. The ability to get rid of bruises quickly depends on how severe the injury is. Sometimes, you can reduce the severity and hasten healing by using the steps of simple first aid. In some cases, this won’t be possible. Light bruises may heal in a day or so, but moderate or severe bruises are more complex, and they take longer to heal. We have solutions to offer you. They help in getting rid of the swelling, discoloration, inflammation and pain that come along with bruises. Ice packs work best on fresh bruises. Ice constricts your blood vessels. This keeps more blood from leaking from the capillaries, which is what creates the look of bruises. The numbing effect of ice helps alleviate some of the pain of bruises, too. It keeps swelling down and minimizes redness. Ice packs are simple to make, if you don’t have one ready-made in your freezer. Just wrap ice cubes in a clean washcloth and apply it to the bruised area for about 15 minutes. Allow the bruise to rest un-cooled for an hour or more and then repeat the ice pack treatment. This is most effective on the FIRST day the bruise is formed. 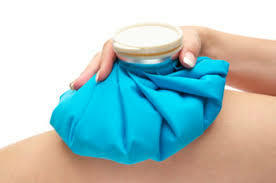 Cold compresses help to heal bruises more quickly. After the first day, discontinue the ice packs and change to warm water compresses for the next 24 hours. Treatment can be as simple as a clean cloth dipped in warm water. This helps to dilate blood vessels and improves blood flow. It helps to remove blood from the bruised area more quickly. Use warm compresses for 15 minutes each time and three times or more per day. To allow your bruises to heal more quickly, do not take pain killers that also have blood thinning properties. This includes ibuprofen and aspirin. Don’t smoke, either. It delays the body’s ability to repair tissue. Since bruises don’t have open skin, do not cover them with a bandage. Arnica is useful in quickly healing bruises. You can apply it in its natural form, or use ointments. You can also purchase oral arnica. Be sure to rest, too. It helps a bruise. A bit of sun exposure may help, since it offers vitamin D. As long as you don’t spend too much time in the sun, it aids healing. If you prefer home remedies, vinegar works well on bruises. It relieves pain and has antiseptic properties. Mix it 50/50 with water and rub the solution on your bruises. Vinegar increases your blood flow to the area. If you have severe bruising, you should consult a physician. S/he will recommend the best treatment for your bruises. If you bruise easily, you should visit your physician when you have anything more than minor bruising. 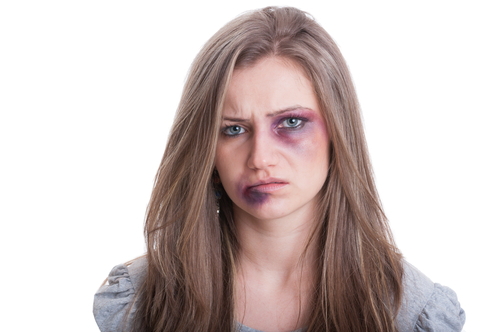 Bruises on the face are of more cosmetic concern than elsewhere on the body. You’ll want to know how to get rid of bruises fast when they’re on your face. You can treat facial bruises at home, as long as they’re not serious. Assess the injury first. If you have a lot of pain and swelling, consult your physician. This is even more important to do if you also are experiencing dizziness, nausea, vomiting or mental confusion. If the bruise is not unbearable and you don’t have any unusual symptoms, begin treating the bruise as soon as you get it. Treating bruises as soon as they occur gives your remedies their greatest effect. Apply ice packs to the bruises the first day, as we mentioned above. Get some rest, too. This prevents more blood from pooling under the bruise site. Elevate your head when trying to minimize the look of facial bruises. After the first day, switch to warm compresses, as we spoke about above. Some bruises just won’t heal as quickly as we would like. If you have a facial bruise that doesn’t respond to your treatments, you can use makeup to cover the bruise, if you’re going to work or out for the evening. Be cautious with makeup, so you won’t infect your bruise. Use only hypoallergenic products with no fragrance added. Use new products and clean applicators. Choose a color of concealer that matches the skin tone of your face. Some bruises may leave nasty marks even after they no longer cause pain. Untreated, they could take months to fully fade. To heal them faster, you can use apple cider vinegar soaks. Applying a mixture of vinegar and water to your bruise may help to lessen the unnatural color of the skin. Vinegar is a good exfoliator, which helps on unwanted marks. Soak a clean washcloth in your water/vinegar mixture and apply it to the bruise. Massage it in and then allow the skin to rest for a half-hour. Whether you play sports or not, you will no doubt suffer from occasional bruises. They show up as purplish stains on your skin. As the days pass they turn yellowish, and the purple hue fades a bit. Bruises are caused by some trauma to the blood vessels. The internal bleeding creates bruising when it isn’t strong enough to break the skin. There are various methods you can use to fade old bruises on your legs, in case they were not properly treated when they occurred. Icing is important, since it will reduce the blood flow that seeps into the bruised skin of the leg. The cold constricts the blood vessels and lessens the amount of blood that can flow through to the bruise. If you don’t stop that flow, the blood going into the area pools and adds to the color and size of the bruise. After about a day of ice pack treatments, begin applying warm water compresses on your leg bruise. This helps move the pooled blood out of the bruised area. In older bruises, there may be old blood still pooling under the bruise. If you keep your leg elevated, it also helps, by preventing the pooling of blood. You can make good use of natural ways that help to get rid of bruises. Herbal remedies work well on old leg bruises. Fresh parsley helps bruises to heal – crush some parsley leaves and apply them to the bruise. Vinegar and witch hazel work well together as a mixture for older bruises. It doesn’t have a nice smell, but it will help the bruise by assisting blood circulation, in much the same way that warm compresses do. Rest helps to hasten your healing. Don’t play sports for a while. Stop any activities that add pressure to your leg. If you try to do too much, it will take the bruises longer to heal. Be gentle with your injured leg as often as you can. If you have old bruises that don’t respond to any treatment, you should see your doctor. Your bruise might result from a clotting disorder in your blood. In addition, if you have severe bruising that extends for more than several inches, this may indicate internal bleeding.